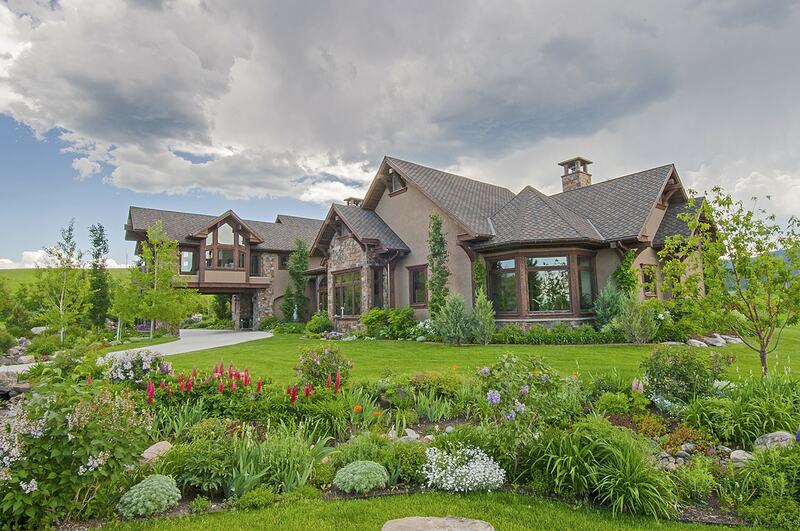 Home » Bozeman Montana Real Estate Blog » Tidbits » Oh Momma! Momma always said flexibility was one of the keys to happiness in life. In my teenage years, while in India seeking the answers to all and everything, a renown Guru remarked, “Flexibility is the core of true strength.” Flexibility is a catch phrase encompassing so many attributes beside the ability to twist your body into a pretzel or touch your toes. Winter has the country in its icy grips and no matter how much we are inconvenienced, battered, frozen, or pounded, Mother Nature has a way of asserting her power. Whether you call it Global Warming, Climate Change, or just good old winter, there is no mistaking the cold, treacherous conditions that have shutdown airports, closed schools, and caused multi-vehicle pile ups. There’s nothing quite like “weather” and Mother Nature when it comes to understanding the virtue of flexibility. Schedules are instantly altered, priorities shift, and a person’s focus is redirected. In real estate, weather is always important as bad weather can be catastrophic. It’s impossible to admire a tremendous view if you are in a white-out. Much of success in real estate—whether you are a Buyer, a Seller, or a Realtor—is a result of being flexible. Buyers set appointments with their Realtors to tour a number of properties. When they are traveling far distances—which is often the case here in Montana—air travel is frequently disrupted. Unfortunately, in this day and age, weather is not the only culprit when it comes to flight cancellations or long delays. However, in winter, sudden storms change everything. When this happens, Buyer, Sellers, and Realtors all have to be flexible and work together to salvage the situation. Most Buyers and Sellers do not appreciate the time and effort involved in scheduling and arranging property showings. For an agent, it usually begins long before the Buyer actually views homes. The agent works with the Buyer, utilizing the Internet, email and phone to help determine which properties best suit the Buyer. Then, given the Buyer’s time frame, the agent concentrates on making the best use of the Buyer’s time. A local Buyer with no time constraints is completely different than one flying in with a day and a half maximum to spend on property searches. Much thought goes into factoring in the most effective route with drive times combined with the time required to properly show each property. Some properties can be readily viewed in 30 to 45 minutes. Luxury estates with multiple buildings, extensive amenities, and acreage easily require 2 or more hours to begin to do them justice. Sellers have a different perspective than their agents. They concentrate on preparing their home and making plans for vacating the premises during the showing. This can posse stress and inconvenience. Yes, Sellers want to have their home sold, but few Sellers enjoy the showing process. There are times when, despite the agent’s best efforts, showings are cancelled last minute or the time has to be altered. Agents are not always able to give 24 hours notice or stick to a set schedule. It is at this point that flexibility will aid the homeowner. And, a sense of humor. Buyers, on the other hand, rule the pecking order in real estate. They are the ones making the ultimate choice of which homes they are interested in buying and what they are willing to pay. Sometimes, though, it is only through the process of actually viewing homes in a particular geographic location that they realize what they thought they were seeking and what they are attracted to are different than anticipated. It happens more frequently than you’d expect—in the middle of a day or two of seeing properties, the Buyer exclaims, “I don’t like any of these!” The reasons vary, but the result is the same—the agent now has to scramble to figure out which homes currently on the market will appeal to the Buyers. Real estate is fluid. The market fluctuates, geographic locations become more desirable, and even architecture styles go in and out of fashion. A constant is the give and take required by all three components to a real estate transaction: Buyer, Seller, Realtor. Each has to be open to change and flexible due to weather constraints, a Buyer’s change of plans or property profile, and life in general. If you are a motivated Seller, even with a high-end, luxury home, you should have your home ready to be viewed within a half hour’s notice. If your home is always clean, fresh, tidy and presentable, you will be far less stressed when schedules are switched around. And, you will benefit when an agent realizes your home is ideal for a client who is viewing homes right now. This past month I had out-of-state Buyers who had worked with me for four months via Internet, email, and phone seeking a second home in Bozeman. We had scheduled two days of action-packed showings with a free day at the end to enjoy Bozeman as well as revisit any home they thought they might purchase. By the end of the second day, it was apparent they had not fallen in love with any of the homes. The next day, talking on the phone and doing a recap, the gentleman said they were re-thinking life in general, and realized they wanted to downsize, which included not bringing their horses to Bozeman for their summers here. By this point, I knew exactly what appealed to them, and by eliminating horses, I knew the right property. I called the Sellers, and 40 minutes later, the Buyers and I were walking through their future home. They did fall in love with the property, put in an offer, and everyone is happy. One of the biggest selling points to these Buyers was that they were able to see the property on such short notice and that the home was impeccably clean and tidy. It gave them a sense of confidence that the internal workings of the home is just as pristine and maintained. And, the surprise of discovery also factored in. I know much of this transaction, as many others Platinum Properties has participated in, is due to flexibility.